This is wonderful! Congratulations on your recent sale! 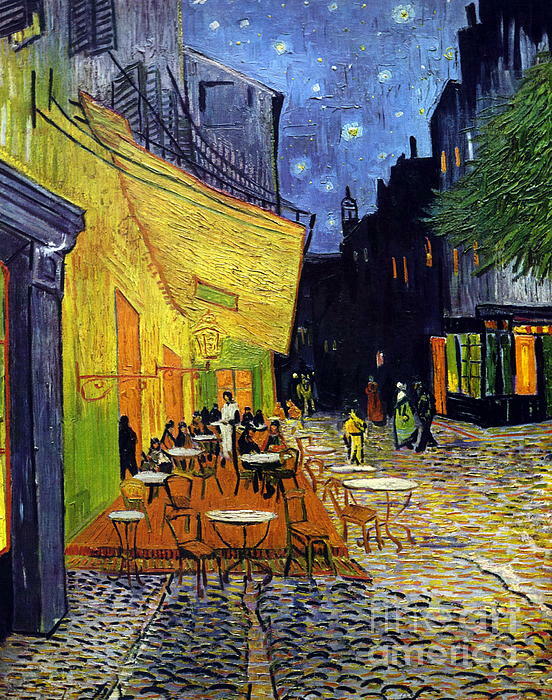 Vincent Van Gogh Cafe Terrace At Night Cafe Terrace at Night, also known as The Cafe Terrace on the Place du Forum, is a coloured oil painting executed by the Dutch artist Vincent van Gogh on an industrially primed canvas of size 25 (Toile de 25 figure) in Arles, France, mid-September 1888. 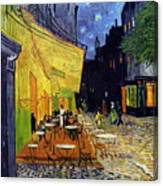 The painting is not signed, but described and mentioned by the artist in his letters on various occasions. There is also a large pen drawing of the composition which originates from the artist's estate. 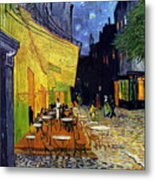 This gallery features Starry Night images in fine art and photography, and night sky paintings by artists such as Vincent Van Gogh.